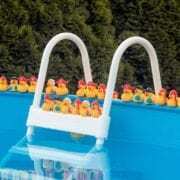 Fall is the time when many of you close your pool. While it’s not time to close while the temps stay warm, it is time to think about it. We’ve put together a list of 11 things you should do before closing your pool. Plan to start tackling this list about two weeks before closing day. Do this two weeks before closing. Look around and see what chemicals you have on hand. If you need anything, please stop by during this time. In addition, check your cover over for any breakage. If you need a new winter safety cover, it’s time to get one now. Bring us a sample of your water so we can help you ensure your pool is healthy and ready to close. Do one week before closing. Do this one week before closing to make sure your pH, alkalinity and calcium hardness are at the proper levels. You want to make sure there’s plenty of water in your pool before closing. Please check with us for more info. Use chlorine to kill any bacteria and algae lingering in your pool about a week before closing. You want your chlorine at healthy levels before covering your pool for the winter. You want to let your run for a full cycle before backwashing and chemically cleaning your filter before closing your pool. To avoid costly repairs in the spring from damage pipes, be sure to drain your pool lines. Right before closing your pool, brush the walls and vacuum it, making sure to get rid of all debris. You want to shock your pool on the day of closing and add algaecide as needed. This keeps pets and children safe during the winter months. 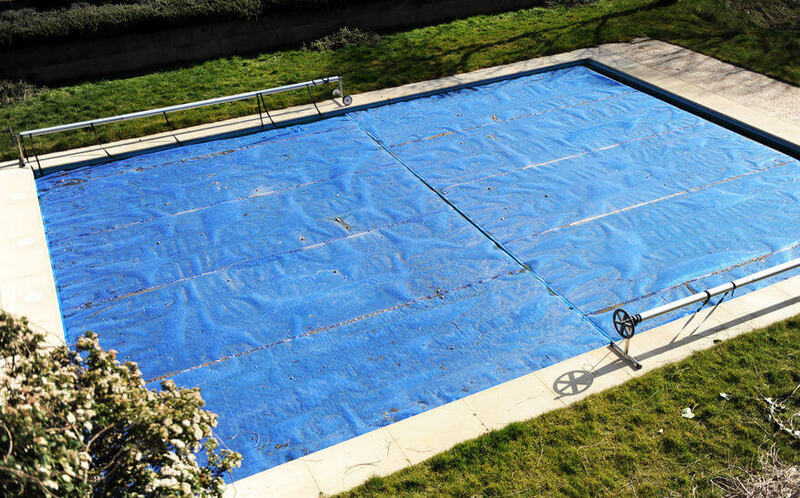 Throughout the winter, lift up your cover periodically and bring us a water sample. You want to check the water chemistry and adjust as necessary. Take good care when closing your pool because it means the difference between opening a clean pool and one that’s a mess. What If I Don't Close My Swimming Pool?